IT certification is still a proven way to quickly gain valuable skills and demonstrate deeper interest and expertise in the field to drive your career. You can read the following content to know what are the 10 best entry-level IT certifications in 2018? Certification and skills can help raise your salary, differentiate you from the competition, and help you get promoted opportunities in your current role. According to a Global Knowledge survey, 83% of IT professionals in the US and Canada hold IT certification, while in the US, the average salary of certified IT professionals averages $8,400 (or 11.7%). Certifications give your resume more credibility and can make you more marketable to recruiters and hiring managers. And at the entry-level, they're a great way to stand out from other candidates — and even boost your pay. As you grow in your career, you'll want to consider more advanced certifications to continue your professional development. By then, you'll know what specialties to focus on and what skills you need for your desired career path. But at the entry level, it's better to stick with more generalized certifications that will help get your foot in the door. Here are 10 IT certifications to launch your career, whether you just graduated or you've decided to make a career change. Earning a Cisco Certified Entry Networking Technician (CCNET) certification will demonstrate your ability to install, operate and troubleshoot a small enterprise branch network. it's a great place to start if you want to land an entry-level network support position or if you already know you want a career in networking. To earn the certification, you'll need to complete the course Interconnecting Cisco Networking Devices Part 1 (ICND1). it's a five-day course that takes place in-person or online and you'll cover the fundamentals of network layers involved in routing and switching. The course also covers firewalls, basic network security, wireless controllers and access points. Once you complete the course, you'll be ready to pass the CCENT certification exam. 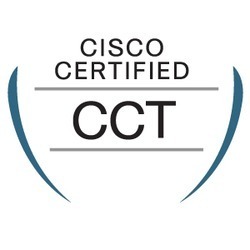 The CCT Data Center certification covers support and maintenance of Cisco Unified Computing systems and server. it's targeted at field support engineers working with Cisco data center system devices and software. you'll need to take the course Supporting Cisco Data Center System Devices (DCTECH) v2.0 before you can pass the exam. The course covers data center networking fundamentals, field servicing and equipment replacement and how to identify Cisco Unified Computing System (UCS) component models, accessories cabling and interfaces. The CCT Routing and Switching certification covers on-site support and maintenance of Cisco routers, switches and operating environments. it's designed for on-site technical support and other support staff who work with Cisco Data Center Solutions. Before you can take the exam, you'll need to take the course Supporting Cisco Routing and Switching Network Devices (RSTECH). The online self-paced course covers networking fundamentals, Cisco outer and switch models, Cisco IOS software operating modes and the Cisco command line interface (CLI). The CCNA Routing and Switching certification is a good option for those who want to work in networking, but also a solid choice if you’re looking for an entry-level help desk position. The exam verifies your ability to identify Cisco router and switch models, accessories, cabling and interfaces. you'll need an understanding of the Cisco IOS Software operating modes and the Cisco CLI. Before you can take the certification exam, you'll need to take the course Supporting Cisco Routing and Switching Nework Devices. it's a self-paced online course that includes up to six hours of on-demand training materials that you can access for up to one year. 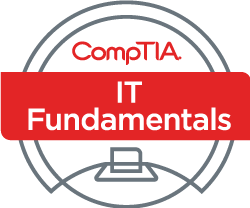 The CompTIA IT Fundamentals+ (ITF+) certification is designed for those interested in starting a career in IT or who want to change career paths. The exam is intended to validate your foundational knowledge in IT and to give you a better idea of what it's like to work in IT. The certification exam covers networks, infrastructure, IT concepts and terminology, applications and software, security, database fundamentals and software development. It's also a good starting point if you want to continue down the CompTIA certification path, but it's not a requirement for other certifications. The CompTIA A+ certification is targeted at support specialists, field service technicians, desktop support analysts and help desk support. If you’re interested in landing a job in a related field, it's a solid entry-level certification that is well-regarded in the industry. The exam verifies your knowledge with configuring, managing and maintaining network devices, implementing and designing functional networks, network troubleshooting and network security. If you know you want to work closely with IT networks, it's a well-recognized and worthwhile certification that will set you apart from other entry-level candidates. 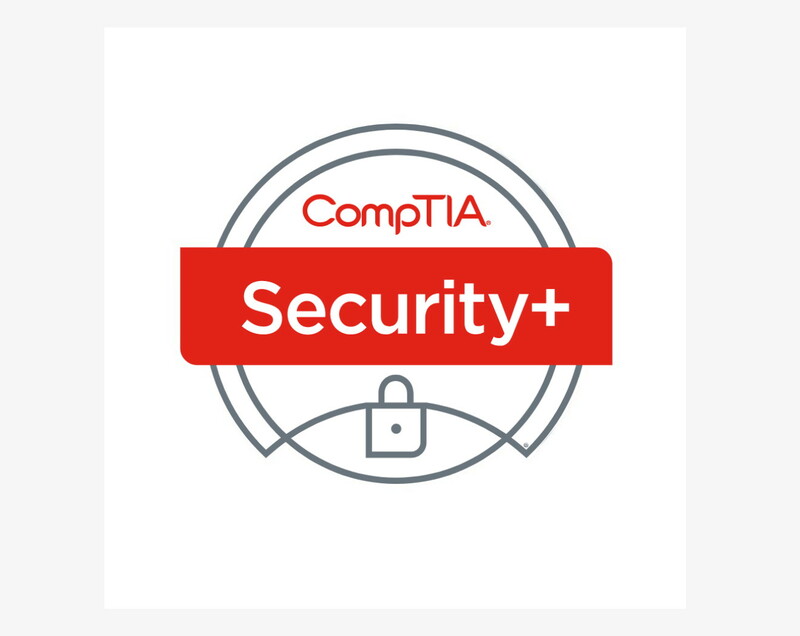 Security is a crucial IT skill for any technology role, so it's a good idea to earn your CompTIA Security+ certification at the entry-level. It's suited for network, system and security administrators, security specialists, junior IT auditors, security consultants and security engineers. The Microsoft Technology Associate (MTA) certification covers IT fundamentals like infrastructure, databases and development. It was designed by Microsoft as an entry-level certification for workers just starting out in IT or for those looking to change careers. The exam is meant to help you establish your career track in IT, with a focus on databases, hardware, software or infrastructure. It covers what you'll need to know as a Junior IT Auditor or as a systems, network or security administrator. The Microsoft Certified Solutions Associate (MCSA) certification is another entry-level option from Microsoft that covers designing and creating technology solutions across Microsoft's services and software suites. It's a little more advanced than the MTA certification, but you don't need to complete your MTA to earn your MCSA. However, you will need to earn your MCSA if you want to continue down the Microsoft certification path to earn your MCSE, MCSD, MCPS or MCT certifications. The Certified Associate in Project Management (CAPM) certification is a widely-recognized entry-level certification for project management offered through the Project Management Institute (PMI). You don't necessarily have to be a project manager to get your CAPM — plenty of IT jobs require project management skills to oversee technical projects. you'll need at least 23 hours of project management education completed before you can take the exam — but you can accomplish that through PMI's Project Management Basics course. The course is designed by PMI to prepare you for the CAPM certification exam — it covers project management basics and skills you'll need for an IT project management job.